The website that Joomlaprofessionals.com made into a local player in the fashion industry. 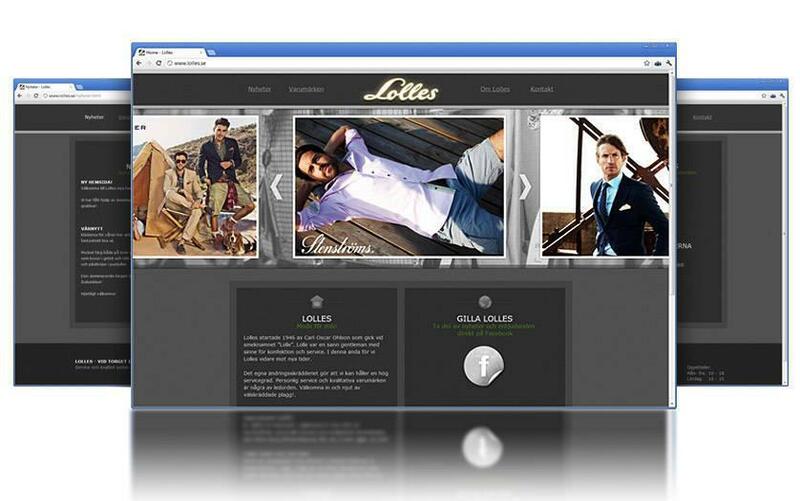 Lolles sells exclusive men’s clothing and have their shop in Varberg. By having a specially developed slideshow, Lolles got a digital display window to show their best brands. We are happy to be able to place this Joomla 2.5 site among our references that are as usual, specially designed according to the customer’s wishes. The site is based upon the latest LTS (Long-term support) version of Joomla. For this project we have installed MaxiMenu, Xmap, Admin Tools, Akeeba Backup and JCE text editor as well as other components. Lolles.se needed a specially designed slideshow that we developed especially for this design.